The best thing to use is called "Butyl" caulk. It is mineral spirit based (meaning not water based) rubber like caulking so it will adhere to almost anything, it is flexible so it expands and contracts with temperature differences, and once dry, it can be painted. It can also be cleaned up with mineral spirits (paint thinner) if you make a mistake or get it on yourself. Butyl caulking however will last usually no more than about 10 years, so you must check it periodically and know when it is time to re-apply it. Silicone based caulks will last longer than Butyl but cannot be painted and cannot be cleaned off of anything. 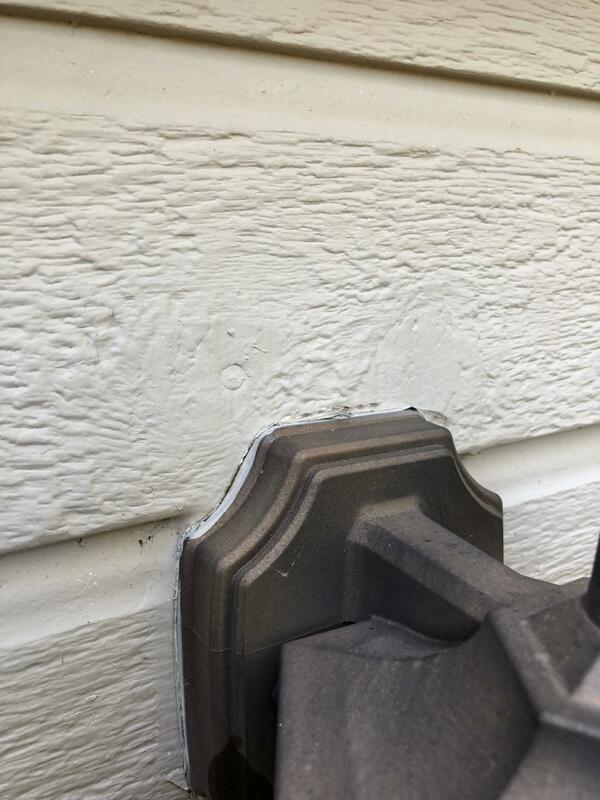 Here is my concern: If you caulk this, it will keep any water or pests from entering, but it wil make it harder in the future to paint or remove/replace the fixture. If you want to caulk anyway, I would recommend an exterior waterproof one. You could also use window/door or kitchen/bath. You might try clear uness you can find one in a matching color to the paint or trim of your house. But, I personally, wouldnt caulk the fixture. Not the answer you're looking for? Browse other questions tagged light-fixture sealing siding caulking or ask your own question. What kind of caulk should I use around my bathtub? What type of wood siding should I use for a shed? How can I seal around a light fixture/light switch outlet? What is the best method for short-term repair of composite wood siding? Is it common to caulk around the edges of vinyl tile instead of going underneath wood paneling?